Originally a maker of wax anatomical models, William Fothergill Cooke (1806–79) became aware of the new electric telegraph while he studied anatomy in Germany. Hoping initially for a return of perhaps a hundred pounds from the English railway companies, he abandoned his studies and turned his attention to the commercial development of the technology, which, though demonstrable in laboratory conditions, was still little understood. Because the process relied on secrecy and many different clockmakers and engineers, it soon became so fraught that Cooke almost gave up before its completion. 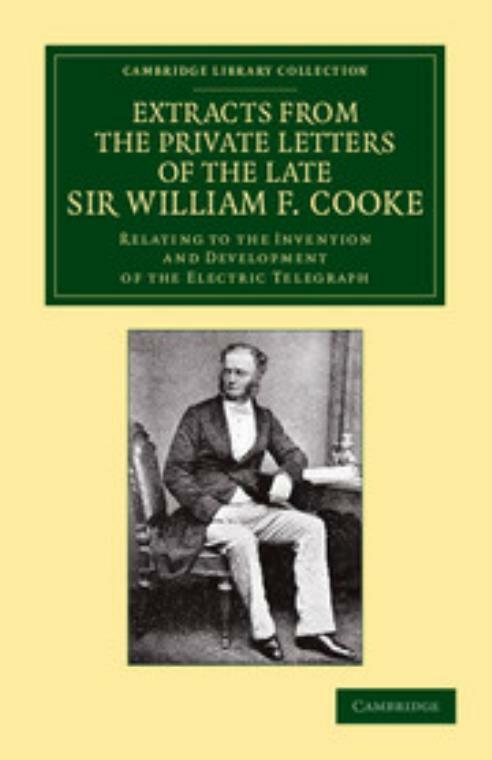 However, after receiving the encouragement of Michael Faraday and joining forces with Charles Wheatstone, Cooke finally brought his plans to fruition and eventually set up the Electric Telegraph Company in 1846. First published in 1895, this book includes a selection of his private letters, written as he worked and often movingly uncertain, as well as a short memoir. Preface; Extracts; Memoir of Sir William Fothergill Cooke.